You Are Here: Home » Aden Polydoros » Swoon Sunday with Tyler Bennett and Hades from Project Pandora by Aden Polydoros! Swoon Sunday with Tyler Bennett and Hades from Project Pandora by Aden Polydoros! Welcome to Swoon Sunday where you get to meet some of our swoon-worthy heroes. Today we have a visit from Tyler Bennett and Hades from Project Pandora (Assassin Fall, #1) by Aden Polydoros! Tyler and Hades, why don’t you describe yourself for us. Tyler: I’m six feet tall, with tan skin and short blond hair. My eyes are amber-brown and have gold flecks in them. I like to run in my free time, so I’m pretty fit. Hades: Haha, no. I bet you can’t even lift at body-weight. Tyler: Athletics is more than just strength training. Just because I’m not entertained by picking up things and dropping them doesn’t mean I can’t beat you at a 10k. Hades: I’m 5’10” and have black hair and blue eyes. I’ve been lifting weights ever since the organization trusted me enough to let me get my hands on heavy objects. Dead lifts, squats, bench presses, hip thrusts. The pain reassures me that I exist, and it feels good to hone my body into a weapon. 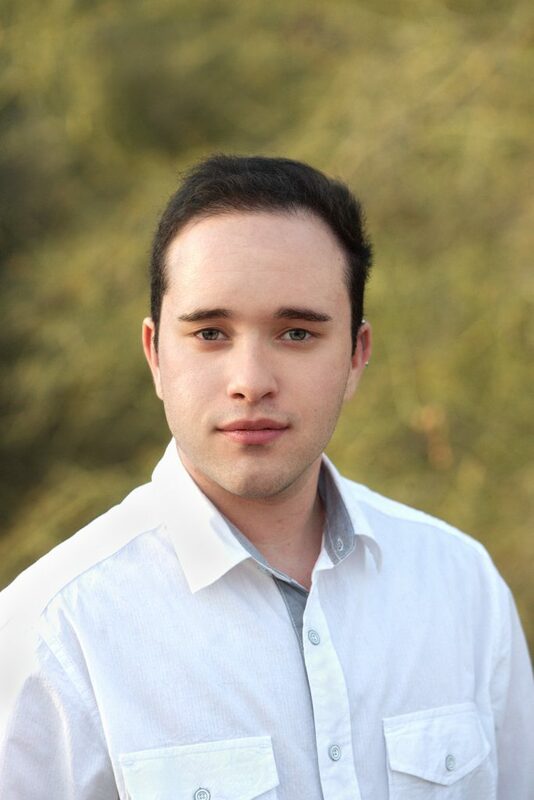 Tyler: I live with my foster-parents just outside D.C., so for the time being, their house is my home. I feel like home is where you make it. It can be anywhere you feel safe, you know what I mean? Hades: I live in a mansion in Georgetown, but I wouldn’t call it a home. It’s really more like a barrack. A place where a soldier is stationed. Tyler: Responsibility and perseverance. I can’t pretend that my problems will just go away if I ignore them. I need to fight them head-on. Hades: Wow, nice speech. It almost makes it sound like you have a backbone, Apollo. As for me, I actually have a useful talent—killing. Tyler: Most people would call that a psychosis. Hades: Most people are weak sheeple. You included. Tyler: My biggest dream is to become a military leader. The Army gets a bad rap sometimes, but I value everything it represents—order, camaraderie, self-discipline, defending the innocent. Of course, now it’s too late for that. Hades: I want to spend more time with Elizabeth, but I know it’s only a matter of time before she finds out what I really am. Hades: I have no regrets. Probably because I have no memories of my childhood. Everything before the age of fifteen is just a black hole. Gone. Tyler: Unlike basket-case over here, I have something called morals. My biggest regret is committing murder. I took innocent lives. I’ll never be able to change that. There’s no going back. The only thing left to do is make it right. Hunt down Zeus, find out what he did to me, and stop him from hurting anyone else. Tyler: I’m scared of what I’m capable of. I’ve killed before. What if I do it again and hurt someone precious to me, without even realizing it? Hades: Oh, my turn? I’d tell you my darkest secret, but then I’d probably have to kill you. Next question, please. Hades: I’ve been thinking about that a lot lately, actually. I’d like to take Elizabeth far away from the city, go on a motorcycle ride, just the two of us. We wouldn’t have a destination. We’d just keep riding until we found the perfect place to stop. Wherever she wanted. Tyler: My last date with Shannon didn’t go as well as I thought it would, thanks to a certain someone showing up. Hades: Don’t blame me for your relationship failures. Maybe Artemis wants someone who isn’t dressed like a prep school student. Tyler: Says the guy who wears only black and looks like he’s never heard of a comb before. That aside, I don’t really have the luxury to think about dating right now. I’m not sure if I’ll survive long enough to go on another one. Tyler: I like to go on runs or wander around the Mall. I wouldn’t really call those hobbies though. More like just a way to kill time until…well, until something more important comes along. I probably won’t be wandering from now on, but running? Well, I have a feeling I’m going to become very familiar with that in the days to come. Hades: Shooting. I love the solid weight of a rifle’s buttstock pressing against my shoulder, or a revolver’s smooth, heavy recoil. Several times a week, I go into the mountains. The organization owns a thousand acres in West Virginia, and I practice there for hours. Paper targets mostly. I don’t like shooting animals. (Laughs.) Wild animals, I mean. Elk, rabbits, and so on. Humans are a different story. What is one thing you would refuse to share? Tyler: My fears. I need to stay strong. For Shannon’s sake, if not my own. Tyler: Early bird. Carpe diem and all. I’m going to have to wake up early when I go into the Army, so I guess it’s a good thing that morning’s my favorite time of day. Hades: Night owl. I have insomnia. Nightmares. And sleep bothers me. It reminds me of the deprivation tank. But ever since I met Elizabeth, I’ve been sleeping better. He took another crostini from the display and held it to her lips, breaking about ten rules of conduct in a single instant. She should have politely declined but instead found herself leaning forward and taking a bite out of the crostini. He was just too alluring to refuse. When there wasn’t enough bread left for him to hold without being bitten, he handed the appetizer to her. Aware that she was drawing attention to herself, she finished it off in tidy bites, cupping her hand under her mouth to catch any stray crumbs. “Who cares about that?” he asked, taking a bite of a cream puff. As he licked the whipped cream from his lips, Elizabeth found her gaze drawn to them. They were almost as full as a woman’s lips, with an elegant cupid’s bow. She wondered what it would be like to kiss them. “It’s a fundraiser,” she said, deciding not to point out that more than a few women in attendance were currently checking him out. “Does this look like a fundraiser to you?” he asked. “Who needs names?” Hades leaned in closer and lowered his voice to a soft, seductive murmur, as if sharing an intimate secret with her. “They’re proof of ownership, you know.” Staring into her eyes, he brushed a strand of hair away from her face and tucked it behind her ear. In the process, his fingertips stroked against her cheek. He was close enough now that Elizabeth could smell him. His woodsy cologne only partially camouflaged his own natural scent—a hot, smoky fragrance like burnt spices and autumn bonfires. And spent gunpowder. For some reason that aroma, when paired with those intense, almost violet, eyes made her feel at the edge of a precipice. Nostalgia. A great revelation. Feeling self-conscious for no reason at all, she looked down to avoid meeting his unwavering gaze. She noticed a black mark on the inner wrist of his left arm that his shirt sleeve partially concealed. “You definitely don’t belong at this party,” she said, smiling. The mark she had seen was part of a larger tattoo that consisted of clusters of small black lines arranged in a row. For every group of four vertical lines, a single horizontal line cut through them. “Are those tally marks?” she asked. She counted them. There were three of those five-line clusters, and two vertical lines set apart from the rest. Seventeen tallies total. “It’s the number of people I’ve killed,” Hades said with a warm smile. Want to read more? 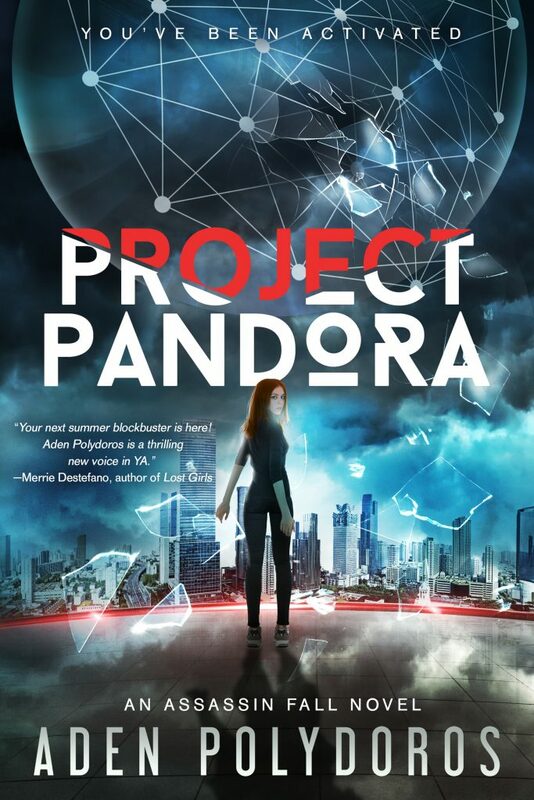 Get your copy of Project Pandora (Assassin Fall, #1) by Aden Polydoros today!